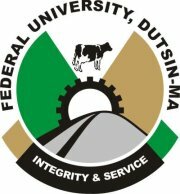 Federal University, Dutsin-Ma, #FUDMA admission list (UTME first, second, third and fourth batch) for the 2018/2019 academic session has been released. The authorities of the Federal University, Dutsin-Ma (FUDMA), Katsina State, have released the names of candidates offered provisional admission into the university various undergraduate programmes for the 2018/2019 academic session through the 1st, 2nd, 3rd & 4th batch admission lists. FUDMA first (1st), second (2nd), third (3rd) and fourth (4th) batch UTME admission lists have been successfully uploaded online. The under-listed candidates have been offered Provisional Admission for Degree Programmes into Federal University, Dutsin-Ma (FUDMA) for the 2018/2019 Academic Session.